KWT drop by another Kanazawa Entrepreneur to shoot the breeze. It’s unusual to meet a foreign barber in Japan, negotiating any kind of grooming in this country can be a real chore for the uninitiated. We head out to Merv, our favourite barber’s riverside studio on the banks of the Asanogawa river to find out what makes the guy tick. Where did you first ply your trade? I started barbering from my older brother, Rico. 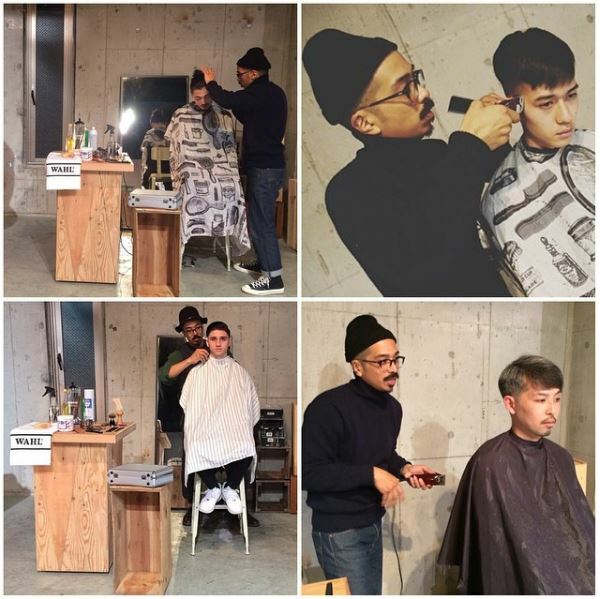 When he was in highschool, he picked up a set of clippers and was doing very easy haircuts at home; undercuts, mushroom cuts etc. This was the 80s and skateboarding was huge, so was DIY. My brother used to cut my hair, and as I got into my teens I started cutting my own hair. That turned into cutting friends hair from school, then eventually later working at a barbershop back in Toronto in my late 20s. To be honest, I've been a barber for a very long time and always kept it as a side business, my main career prior tho was design; both graphic and clothing. Details being the thing that relates to them all. 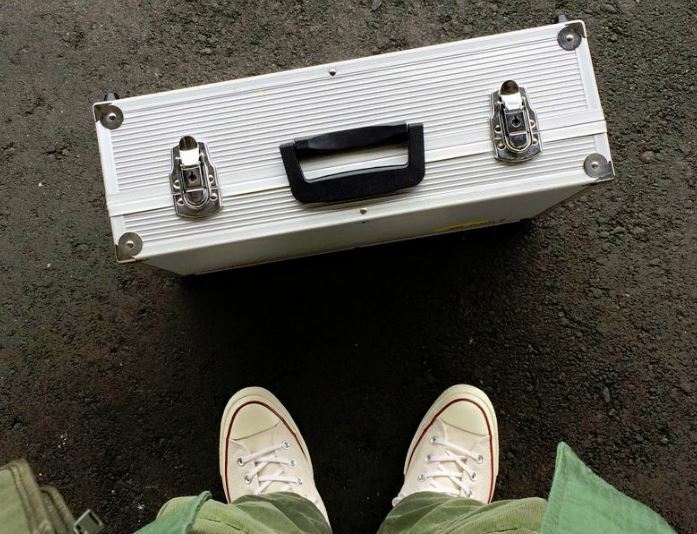 Was it difficult to get started in Kanazawa? As with anything new, it was tough at first and I still have challenges along the way. Coming to Japan, my main barrier was going to be communication, so of the skills that I have, I chose barbering as my asset that would be easiest to assimilate with. It's mainly visual that's why. I'm also thankful for subcultures; music, skateboarding/snowboarding etc. All of these I'm heavily passionate about, and these are what I used to connect with people rather than relying on 100% verbal communication at first. Regardless of any struggle, I sincerely appreciate it all. Barbering is about community, and I'm more than happy to call most of my clients good friends at this point. There's a variety, which is good. Initially, I thought that it would mostly foreigners, and although more have been coming around lately, most of my customers are Japanese. Big shout out to some of my sempais out here, especially Kozai San at Casper Skateshop. He, along with some others really got on board when I started and helped get the word out. For the most part, I try to establish any sort of connection with my customers, beit skate, life, music, anything. As a barber, your skill is really only 10% of the trade. You as a person is what's gonna make or break you at the end of the day. Nobody wants to get any service from a jerk. That's another tough one. I love music and I love all sorts. I'm more of a classics guy, so any originals with a good beat or drum is gonna come first to mind. James Brown is probably first and foremost, and from there you get Jazz, then Hip Hop and RnB, also Breaks. But I also love Punk, Ska, and Reggae. I love obscure music too, Kraut Rock, movie scores, some Electronic, all kinds. As long as it has a good feel to it and some bass. 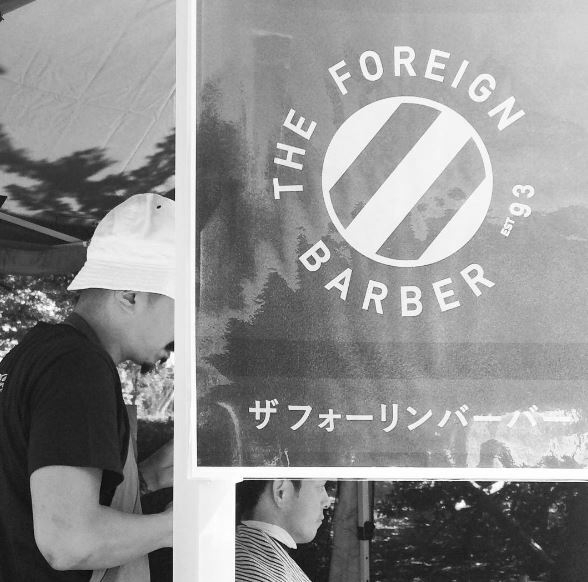 What’s next for the foreign barber? We sit one of the KWT staff down into the hot seat and let Merv do his thing. We're more than impressed, we got what we came for, exceptional service at a great price. Onwards and upwards big guy, we wish you all the success in your venture.